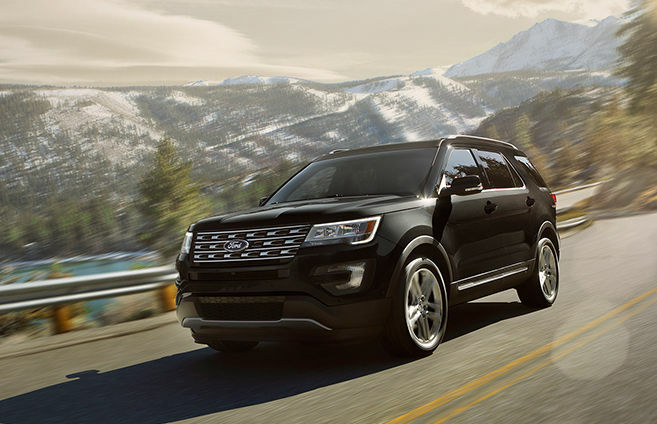 There isn’t much to say about the Ford Explorer that isn’t covered by its name. If you believe that life is a sport, and you want an SUV to join you in the pursuit of adventure, then you’re probably in the right place. 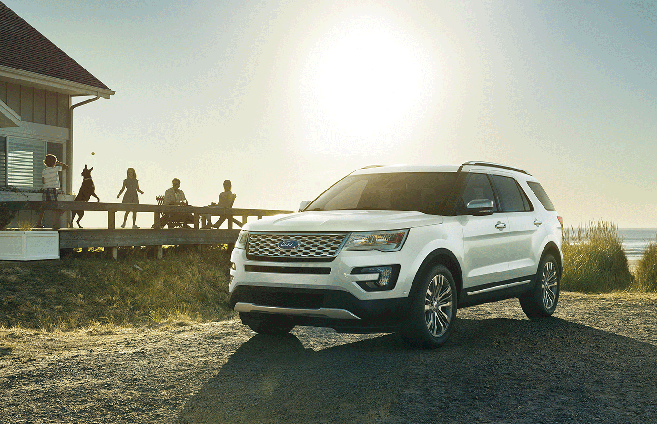 At the same time, the Ford Explorer never disappoints in comfort or style. The Nirvana Leather in the Platinum Explorer comes with micro-perforated, quilted inserts for unbelievable comfort. The second-row seats can be upgraded to Captain’s Chairs, sharing first-class adventure with all passengers. 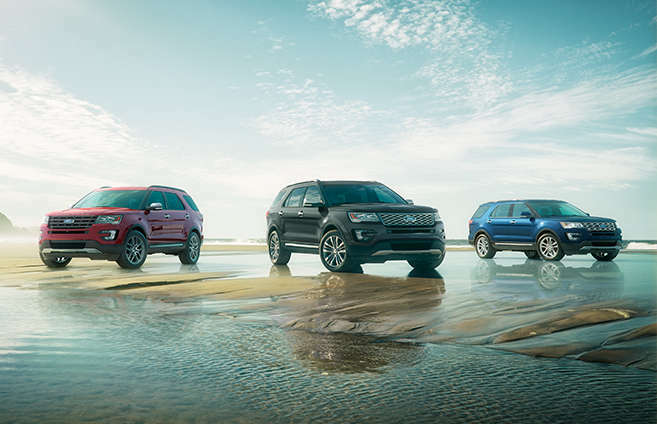 But the Explorer will never sacrifice function: when you need the cargo capabilities of a large truck, the third and second-row seats fold down easily to transport whatever gear you need to help make life a sport. It takes more than just great looks to keep the adventurous legacy of Explorer alive. 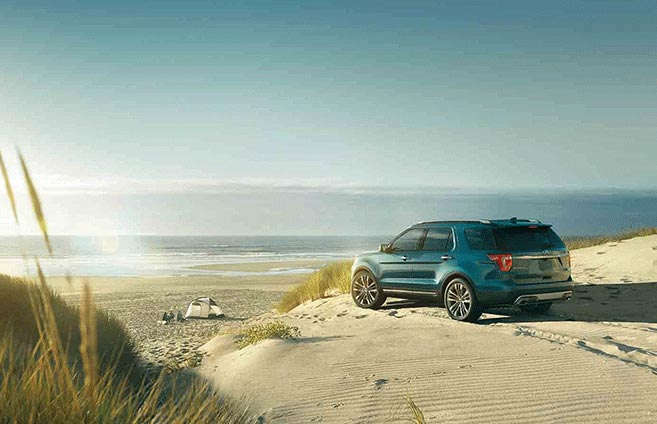 It also takes smart design and engineering, plus an available Intelligent 4WD with Terrain Management System. Standard equipment includes AdvanceTrac with Roll Stability Control and Curve Control. The interior offers an available class-exclusive PowerFold third-row seat* and second-row bucket seats. -Standard 3.5L EcoBoost powertrain, Intelligent 4WD and 20-inch machined aluminum wheels with painted pockets. -Standard LED signature lighting, three-row seating for up to seven and Reverse Sensing System. 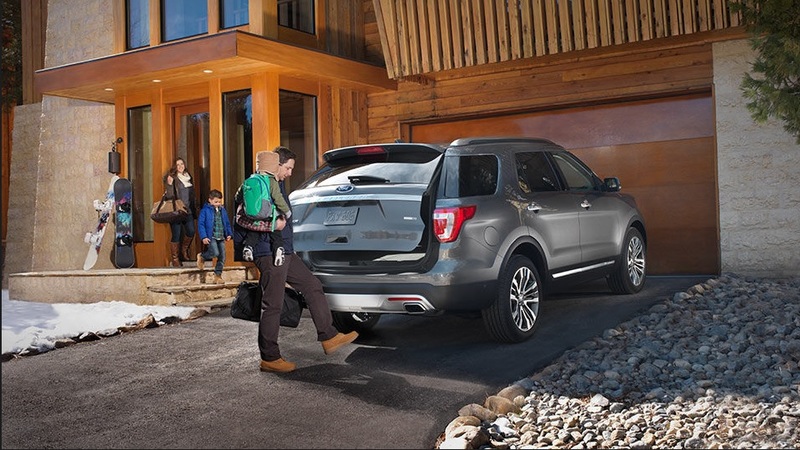 The 2017 Ford Explorer offers three powerful engines plus available Trailer Tow Packages and Intelligent 4WD with Terrain Management System to help give you confidence on the road or off. Inside you’ll find plenty of room for passengers, cargo, equipment or anything else you might need as you head out on your various journeys of discovery. The available 2.3L EcoBoost engine produces 280 hp and provides 310 lb.-ft. of torque. It has a twin-scroll low-inertia turbocharger that separates the exhaust pulses from pairs of cylinders, enabling quicker turbine spin-up, enhanced acceleration responsiveness and efficiency. Explorer Platinum grabs attention with a distinctive grille with satin-chrome finish, dual integrated chrome exhaust tips and 20-inch bright-machined wheels with dark-painted Pockets. The interior is just as impressive with the standard dual-panel moonroof, unique Nirvana leather with micro-perforation and quilted inserts. On cold mornings, your passengers will enjoy the heated second-row bucket seats. Also standard is a heated, leather-wrapped steering wheel with real wood accent and unique stitching. What’s better than driving a Ford? 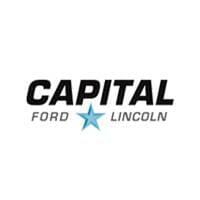 Driving it smarter with FordPass. 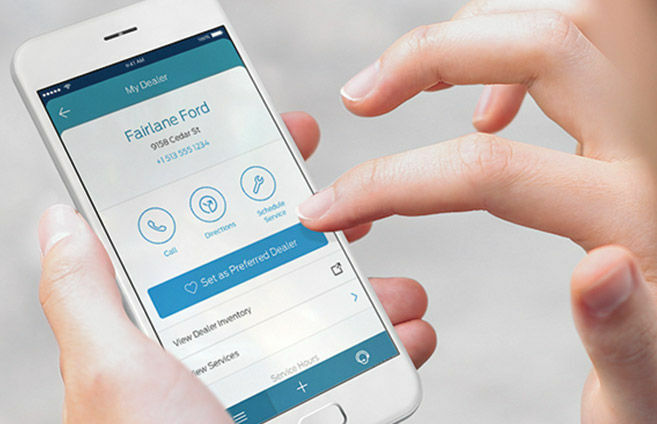 Contact your dealer, schedule maintenance with a Ford Service Specialist, reserve parking ahead of time with FordPass Park or request Roadside Assistance at the tap of a button. Need help with your journey? Contact a friendly FordGuide right from the app. 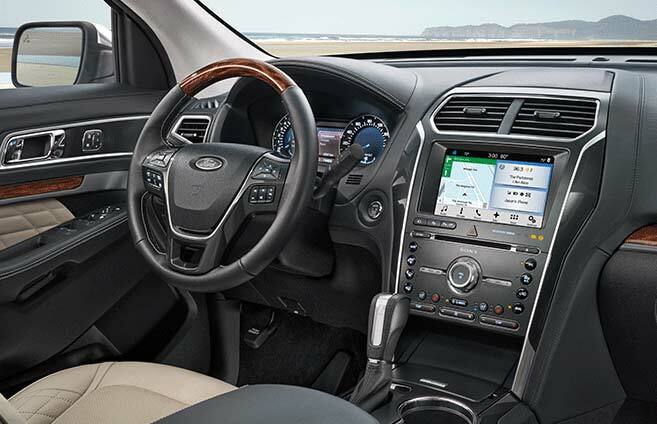 FordPass takes care of the details so you can just enjoy the drive.